To truly make progress in your business, you need a robust marketing strategy that’s as integrated with your inventory as it is with your employees. Tying your business together with a solid sales and marketing strategy will allow you to measure data and create an actionable marketing strategy upon that data. But if you really think about it, it’s pretty hard to create a strategy if you don’t know where you stand in the market (or how to measure it). That’s where data-driven marketing comes in. With the right systems in place, your data can reveal your strengths and weaknesses through every sector of your business. By tracking each step of your sales and marketing efforts you can plug holes in your operations, boost your best performers, and make data-driven decisions that increase your sales. Here are 3 tips for creating a data-driven marketing strategy in your business. Whether your business is entirely online or just a storefront, you need to have a realistic view of your business before making any marketing decision. When you’re able to keep track of everything that contributes to your ROI, it’s easy to see which one of your company’s key performance indicators need a boost. The simplest and most efficient solutions for getting your inventory and marketing numbers in one place is through a modern POS system that can tie in with your marketing platforms such as Shopify or Mailchimp. In addition to making sure that software can support your needs, you also need to make sure it’s adoptable. The #1 reason business owners feel dissatisfied with their POS is the trouble is takes to train their team on it. Long story short? Find something even the less tech-savvy business manager can feel comfortable with. You’ll save yourself training time when all is said and done. We’re all humans, right? Of course. So don’t forget that when it comes to marketing to your customers. Use the data you gather through your POS system and CRM to create offers that appeal to your customers. Don’t throw thousands of emails and bottomless deals at their doorstep. Each and every one of your customers has their own unique interests and demographic and if you fine-tune your strategy to their needs, you’ll be rewarded. Take the time to create a customer persona and make sure that your reports include metrics on your content, emails, and engagement rates. With that data, you can segment unique offers and campaigns for your customers. Always ask about their experience and what you can do to improve. You’d be surprised how much people will tell you when you ask. Ask your customers to give feedback through surveys or phone calls, or simply track your interactions with customers using proper tools and software. Identifying your ideal customer and knowing where your customer is most likely to find you means that you can strengthen your marketing efforts in the right place by enticing current and new customers with deals and content, whether these entry points are physical places, like a hotel reception desk or digtal – like a website checkbox selection. Your audience should be engaged with your brand, but you need to do it on their terms. Don’t make the mistake of spamming your visitors. Many small business (and even some large ones) often fail not because they lack profitability, but because insolvency can be a much deadlier danger to new business. Limited funds may cause a serious crisis if cash flow is not carefully monitored and managed. If you did not plan in advance for a huge bill or an have backup money for any unforeseen expense, you may get wiped out. Having analytical data will help you control your profit margins. As you look at the numbers, you can see what inventory sat, for how long, it’s profit margin, and so much more. Using this data, you can revamp your inventory and your delivery schedules to maximize your profits and minimize your losses. Once you find the right balance your business, business will be a breeze. Having analytic data on your restaurant will help you find you financial balance, and help you plan for growth. Measuring your marketing effort is the best approach to running a business with a “data-driven” method rather than relying on your instincts alone. There are many things that may slip under your nose if you don’t crunch all those numbers at least monthly, so set yourself a schedule for success, and let your business succeed by the numbers. Remember, creating a data-driven strategy takes time and energy. Make sure that you take the time to gather your data, get to know your customer, and be realistic with your finances. After all: “What can be measured, can be managed”. 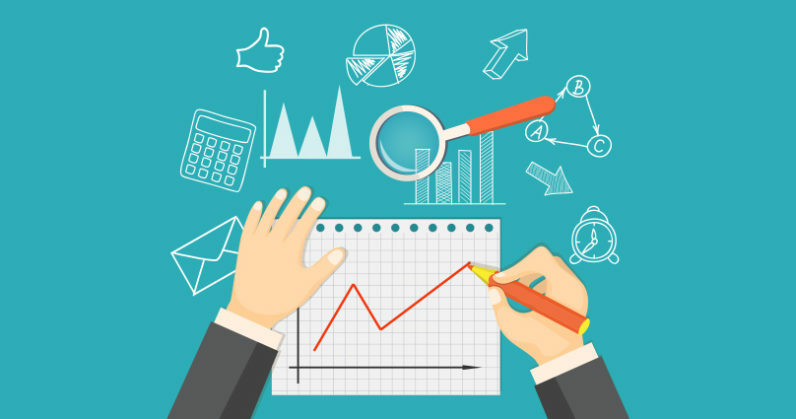 Are you creating a data-driven marketing strategy for your business? What have you discovered along the way? Share your story in the comments.